All decisions regarding tentative acceptance are rendered in early July each year. All sessions that are accepted initially are granted a tentative acceptance. Tentative acceptance allows session organizers to address any concerns brought to their attention by the Scientific Program Committee (SPC). These issues can include the number of presenters, diversity of presenters (affiliations or geography), etc. The SPC also reserves the right to accept a proposal contingent on the chair and co-chair altering the final presentation to the SPC’s preferred format, although the original proposal format suggestion by the proposer is given due consideration before this kind of change is requested. Provide SOT Headquarters with the complete contact information for all your presenters once tentative acceptance is granted. Notify SOT Headquarters immediately if there are changes to the presenter roster. Note: While recognizing that some changes will occur, the SPC reserves the right to reconsider a session if presenter substitutes cause a shift in the session’s focus that differs substantially from the original proposal. Facilitate updates and changes during the Invited Presenter Submission Phase (see Finalizing the Session below for more information). Communicate the decisions of the SPC to your nonmember presenters who applied for travel assistance. Provide important information to your presenters as it becomes available. Ensure your session complies with SOT’s criteria for the care and use of animals in research . After a session has been granted tentative acceptance, the session chair should work with the co-chair and all presenters to finalize presentation titles and abstracts—a process known as the Invited Presenter Submission Phase, which occurs from mid-July to mid-August. Note: For all session types, each session chair must enter a complete, revised “overall abstract” that fully describes their presentation in detail and incorporates any suggestions from the Scientific Program Committee (SPC), as well as the individual abstracts for each presenter. For 80-minute sessions, individual abstracts for each presenter are necessary so the SPC can review any changes that were suggested for the presentations. 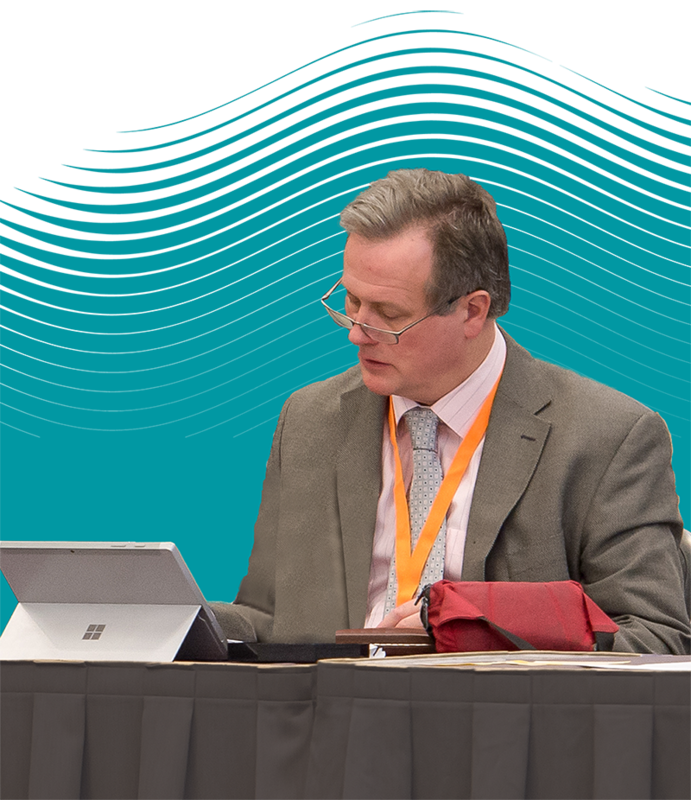 However, for 80-minute sessions, only the overall abstracts will appear in the Annual Meeting publications and the SOT Event App. Compete instructions will be sent in July to all session chairs for finalizing the sessions. Final acceptance is granted after a formal round of review of the final session description and individual abstracts by the Scientific Program Committee in September. Sessions endorsed by the same Specialty Section/Specialty Interest Group or SOT Committee should not be programmed to occur concurrently. Sessions that cover similar topics, regardless of Specialty Section endorsement, are not to be programmed to occur concurrently. No sessions will occur during the opening Plenary Lecture or the Keynote MRC Lecture. No sessions will occur during the SOT/EUROTOX debate (usually on Monday during the sunset time block). No sessions will occur during the SOT Annual Business Meeting (usually on Tuesday during the sunset time block). The SPC considers all these factors and diligently reviews the proposals before finalizing the Scientific Session schedule in late September. When the schedule is released, it is considered final and will not be altered. Why are two sessions endorsed by the same group occurring on the same day and time or why do some Symposium or Workshop Sessions occur at the same time as a Poster or Platform Session on a similar topic? Presenters participating in more than one Scientific Session. Limited traveling schedules of some presenters. Room size limitations: Room sizes vary from year to year based on the convention center and not all rooms have the same maximum capacity. The larger rooms are typically reserved for “hot topic” sessions. Poster and Platform Sessions: As these are programmed in November, after the other Scientific Sessions have been programmed, the SPC makes every effort to program Poster and Platform Sessions during times when Scientific Sessions on a similar topic are not being held, but that is not always possible. The 165-minute Scientific Sessions (Symposium, Workshop, Platform, and Regional Interest) are held in the regular morning (9:30 am to 12:15 pm) and afternoon (2:00 pm to 4:45 pm) timeframes. This limits the time blocks for 80-minute sessions to lunchtime (12:30 pm to 1:50 pm) and sunset (5:00 pm to 6:20 pm). With the Annual Business Meeting, SOT/EUROTOX Debate, and the beginning of many SOT Component Group receptions occurring or starting during the sunset time block, the SPC typically prefers to program 80-minute sessions for the lunchtime block.